Wide receiver has become the dominant offensive position in the NFL and as a result there is a deep pool to choose from. The elite tier is comprised of some obvious players, but after that things become a bit murky. In this article, we will sift through the murk and present some potential gems going into the 2016 season. Smith is a receiver that has been able to put up strong numbers throughout most of his career. He has always been a boom or bust type, but his boom weeks can win fantasy matchups for your team. Last season was a very tough one for Smith as a result of the tumultuous quarterback situation in San Francisco. 2016 presents reasons for optimism as a new coach is arriving and the quarterbacks look motivated. Number one wide receivers in Chip Kelly’s systems have routinely posted career statistical highs and if Smith follows this pattern, he will be easily within the top 20 or so wide receivers. This guy will be suiting up and potentially burning defenses soon. 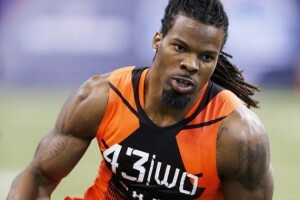 White was a highly touted prospect entering the NFL last season before he was derailed by injury. His stock has fallen greatly as he has been out of the eyes of potential fantasy owners. He still has the skill set that was so coveted coming out of college and a bonafide stud across the field in Alshon Jeffery. Pair that with a Bears schedule beneficial to wide receivers and you have a recipe for success. Last season was not terrible for Green-Beckham, particularly the later part of the season. He flashed some big play ability and looks like a guy who could take over a game in the near future. Another year of development for Green-Beckham and Marcus Mariota may be all that was needed for a full blown breakout. Agolhor was another rookie with high hopes last season (you may notice a pattern here). Due to injury and the general dysfunction of the Eagles, Agolhor never panned out. This season the team will be out to prove that 2015 was a fluke and this young receiver should put his talent to better use. Despite being a gifted athlete, Jaelen Strong did not represent himself well last season. He showed up overweight and immature to a team with several receiving options. As a result his playing time suffered greatly. Strong has reportedly rededicated himself and he showed up to camp in great shape. This improvement could mean more playing time if Will Fuller struggles out of the gate. 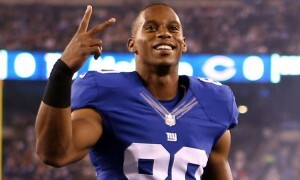 Victor Cruz says he is healthy and could be an absolute steal this season. Cruz is getting no respect after a long string of injuries have kept him out of action for an extended period. Once one of the premier wide receivers in football, Cruz says he is healthy and ready to go in 2016. This guy is the definition of a wide receiver fantasy football sleeper. I, for one am willing to take a flier on him and hope for 80% of his former production. I know, we have all been burned by this guy but he still has talent. Although he always seems to be hurt, Amendola has the potential to go off at any time. Not to mention, we don't know who Garopolo is going to have a rapport with in the first four weeks. For free, at the end of the draft, you could do worse than a Patriot with upside. Quarterbacks and wide receivers are accounted for now. Check back in tomorrow for running backs; tight ends on Saturday.